Every story includes a beginning, middle and end, and while our story isn’t finished, we, at Bethlehem Bible College, certainly have an amazing beginning to share. We have now entered the 40th year of BethBC’s existence, and to honor those that set the scene for us to be experiencing what we are today through the College, we want to share the story of our beginning, and how a simple twenty dollar bill and faith propelled us to where we are today. With the initial donation by Pastor Earl Morgan followed by other donations, visits to the Boy’s School in Beit Jala by various mission organizations and a willingness of other pastors and missionaries living in Jerusalem and Bethlehem to teach the first cohort of students, BethBC officially had its beginning in 1979, just one month after the initial idea was presented. Volunteers from around the world assisted in developing programs, teaching and serving in administrative positions in order to sustain the work that they had set out to do. The generosity and faithfulness of the twenty dollar donation sparked more than a financial campaign to raise funds for what later became to be known at BethBC. 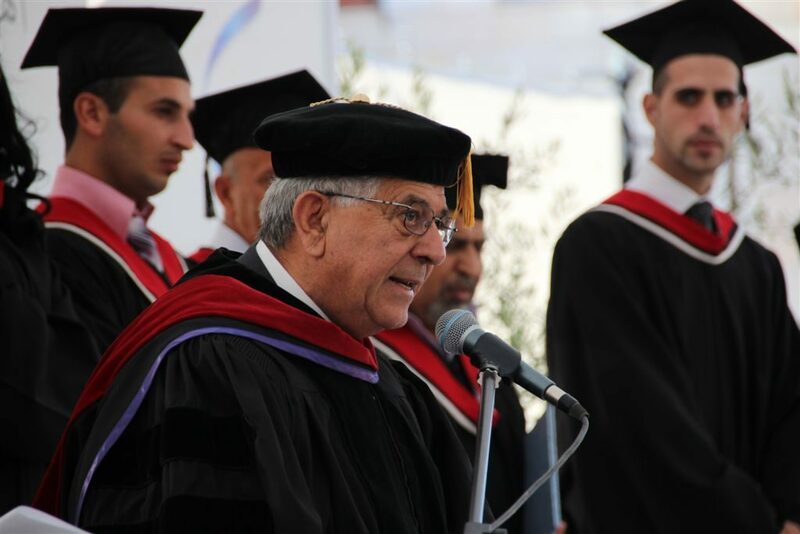 This act of obedience, generosity and faithfulness set in motion a movement that involved other people, both locally and internationally, to continue the work of establishing a college that would help train future Christian leaders in Palestine. We are reminded of what Jesus said in his parable in Luke 16:10, “Whoever can be trusted with very little, can also be trusted with much.” We realize that we started small, and our desire was to be faithful in stewarding these funds to sustain the development of future students to be trained in the way of Jesus. We are seeing the increase of our influence, and consider it a privilege to be entrusted with more as the College continues to grow. 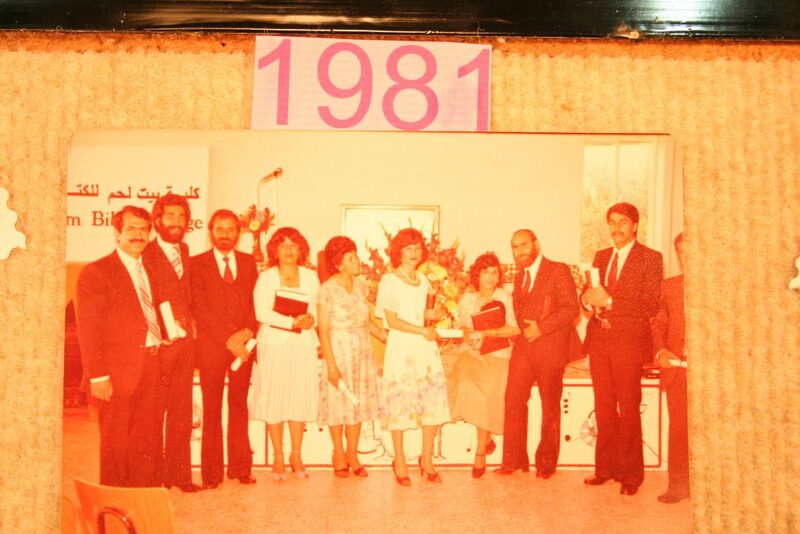 Our ongoing journey of faithfulness continues as we celebrate the 40th year anniversary of Bethlehem Bible College. The modest donation of twenty dollars and a team of devoted local leaders with a heart for God and his humanity, have now seen the fruit of their faithfulness. BethBC gives thanks for those both past and present that have stepped out in faith to partner with us in our mission of training, advocating and modeling Christ to our students so that they may be ones that impact the community around them in such a way that reflects the heart of God. The vision of Dr. Bishara alongside the action of the other local and international leaders served as a springboard to where we are today as a College. Never doubt the impact of a small action, as the Lord is the one who multiplied the seed gift of twenty dollars into a College that is now the only institution of its kind in the West Bank. The faithfulness of the Lord is evident in this place, and we are grateful to celebrate our 40 year anniversary by sharing the story of our humble beginnings.